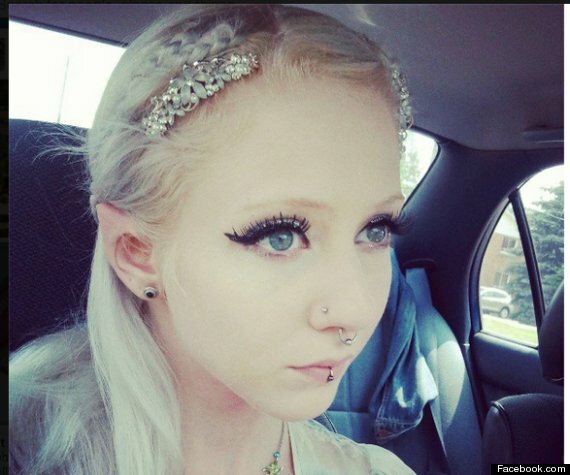 A 23-year-old Canadian model knows something about “elf esteem” after having her ears surgically modified to look like the mythical creature’s. “The elegance of the elf ear is something I adore,” she explained on a YouTube video documenting the surgery. Moon, who lives in Guelph, Ontario, said the decision to change her elf, er, herself, was a long time coming. She believes she was a fairy in a previous existence. The doctors who performed the $408 surgery skinned the tops of her ear cartilage,then skinned and cut pieces from the tips to form points. These tips were stitched together and removed a few weeks later after the ear skin was allowed to fuse, the Mirror reported. But she said it’s been worth it just for the reaction she gets from people. “I have a handful of people assume I am dressed up because I have put on pointed ears,” she said, the Daily Mail reported. Moon admits that some parents have used her to keep their kids on Santa’s good side.